Makita Chainsaw Chain 958492646 DCS4610 DCS401 30cm 12"
The guide bar will take the makita 196741-5 chain reel (not supplied). Makita 10.8 Volt Drills. Makita 18 Volt Drills. Makita Electric Drills. Manufacturer's T's & C's will apply (misuse will not be included under warranty). The chain is a dolmar chain with 56 links 3/8 pitch 1.1. will fit uc3020a, uc3501, uc3510, uc3520a, dcs330. Makita 10.8 Volt Drills. Makita 18 Volt Drills. Makita Electric Drills. Stack Sheets / Tarpaulin Sheet. This chain is 3/8 low profile. 043 gauge and 46 drive links. This will fit. 043 gauge bars that have 46 drive link count. This is the new Low-kick chain that replaces 90SG046G or R46. 90PX - series feature low vibration chamfer chisel cutters with twin cutting corners for excellent performance and edge holding durability.This narrow. 043 gauge chain -matched with a micro-lite bar is 15% lighter. OEM Makita DCS460 Complete Crankshaft For Chainsaw. Part Number: 181120100. Crank bearings are very good. small end bearing included but in my view needs replacing. MAKITA DCS 340 PETROL CHAINSAW COMPLETE BOTTOM END WITH OIL PUMP STILL FITTED. ALL IN GOOD ORDER. BEARINGS IN CRANK AND SMALL END RUN SMOOTH ECT. REMOVED FROM LOW HOURS SAW. MAKITA DCS510 DCS51020 DCS460 DOLMAR CHAINSAW - MAKITA DOLMAR DCS510 DCS51020 DCS460 DOLMAR CHAINSAW FLYWHEEL. PART NUMBER >>>>>. GOOD USED PART. Makita 6274012000 HANDLE CPL., RBC281 Robin10180. View search results for Makita. Then all costs will be covered by us. The starter kit includes everything you need to get started with the PowerSharp precision saw chain sharpening system: PowerSharp chain, bar-mount sharpener. sharpening stone, and the PowerSharp guide bar. 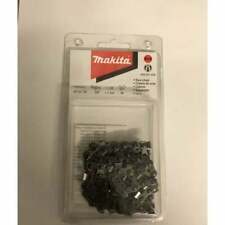 Makita 196741-5 DUC353Z Or DUC355Z Replacement Chain Spare Chain 35cm 14"
Makita 10.8 Volt Drills. Makita 18 Volt Drills. Makita Electric Drills. Stack Sheets / Tarpaulin Sheet. Manufacturer's T's & C's will apply (misuse will not be included under warranty). The chain is 35cm 14". Pitch: Any. Oregon Mount: Old style A074 and A041. Cutting Length: 12". Type: Solid nose. Part No: GB372 45. Fits models: EK7301. Genuine OEM Intake Manifold. MAKITA DCS 340 CHAINSAW - RUBBER BUFFERS X 4 WITH FIXINGS. ONE IS A LITTLE STRETCHED IN CENTRE HOLE. HCU02C1 36V LXT Lithium-Ion Cordless Chainsaw. HCU02ZX2 36V 12" CHAINSAW W/195850-7. Authorized Makita Dealer + Full Factory Warranty!!! MAKITA DCS510 DCS51020 DCS460 DOLMAR CHAINSAW - SPROCKET GUARD AND COVER - GENUINE USED PARTS. ALL CLEANED IN GOOD CONDITION. PART NO : 181 213 191 957 213 600. Fits: Makita DPC7300, DPC7301, DPC7310, DPC7311, DPC7320,DPC7321 and DPC7331 cut off saws. 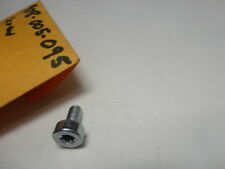 Replaces OEM part: MAKITA 394 130 014, 394 130 015, 394 130 140. 50mm bore. Fits MANY 8" Pole Saws including Chicago Electric© 68862, Earthwise. © S33 Type 91xx. This chain fits saws using a 3/8 low profile 0.050" gauge and 33 drive link count. © Type 91xx chain, replaces Oregon. Makita 412040611. 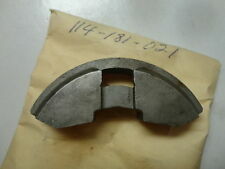 412040611 Sprocket Nose Bar. 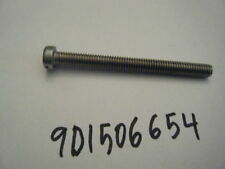 Part Number 412040611. Item model number 412040611. Included Components 1 x 412040611. Length 40cm. Nose bar type Sprocket “Microlite”. Number Of Pieces 1. 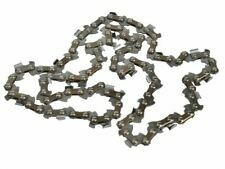 High Quality UK Made, Genuine ALM Chainsaw Chain 40cm 56 links ALWAYS COUNT YOUR LINKS BEFORE BUYING alternate part number:1519-9001-56, 29132, 45.003.20, 4500176, 528 092 656, 577615127, 682006002, 901213002, 901213012, 91P-56P, 91P056PTT, 91P056X, 91PJ056X, 91VG 56E, 91VXL056E, A6156, CHO027, CL15056PB, CSA046, NC1-BL-56E B, RAC222, uoa531024127. MAKITA MODEL EA5600FRGG. The Makita 20" 56cc chain saw combines a high power-to-weight ratio with easier starts and lower vibration for a full range of applications. 13,000 rpm with fast acceleration for more efficient cutting performance. 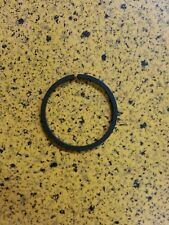 MAKITA 2240812 224081-2 OUTER FLANGE. 4101RH Masonry Saw. 4200NH Circular Saw. 4200H Circular Saw. 4100NH 12A 4-3/8" Masonry Saw. New open box. See pictures. Makita 958086672 Chainsaw Chain DCS431 DCS5030 45cm 18" 0.325" Pitch 0.058"
MAKITA 958086672 18" (45CM) CHAINSAW CHAIN (92534 ). Chain loop. Product Type Chainsaw Chain. Length: 45cm. Semi-chisel 3/8" / 0.325". Dolmar 383500203 REEL, MS 20C Rewind spool. Makita dpc 6400/6410 clutch in good working order. Can post to uk mainland destination only. Makita 511291752-3/8 Chain < span class = notranslate ' > 1.1 90Sg-35 cm. UC4000 16" Electric Chain Saw. UC3500 14" Electric Chain Saw. Makita Part Number Supercedes from the following Makita Part Numbers: 225221012 & 225221010 . 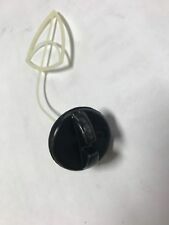 OEM DOMAR MAKITA 965-404-220 965-404-222 VENT VALVE. WE ARE THE "GO TO" PLACE FOR THE SMALL ENGINE PARTS! Mowrystown, Ohio 45155-0393. Randy Duncan. A GREAT GIFT IDEA! I'LL DO ALL I CAN TO FIND YOU WHAT YOU'D LIKE TO SEE LISTED! MAKITA DCS460 CHAINSAW - GENUINE USED PULL START IN GOOD WORKING CONDITION. ALSO FITS DCS510 MODEL. ENGINEERED TO REDUCED VIBRATION FOR SMOOTHER CUTTING. PITCH: 3/8". OFFSET DEPTH GAUGE REDUCE ROUGHNESS AND MORE EFFICIENT CUTTING. Makita ea4300f chainsaw part only. I really appreciate that! This would make a great item for anyone. This is for this part only. Make: Oregon. Oregon Mount: A041. Pitch: 1/4. Cutting Length: 12". Type: Sprocket nose. Overall Length: 14".